I am Renegade, and these are my expressions. This blog is all about self-expression and sharing my interests with the world. As I grow and my interests and experiences change, so too will the content of this blog. I also want to share information that prompts you to think, research and fosters some amount of discussion, whether online or in the real world. If somehow I also entertain you on this journey then that is a bonus. Please feel free to share the posts and interact through the comments section. I am thinking about a guest Blog on the subject ‘Thinking outside of the box’. Does that sound plausible to you? 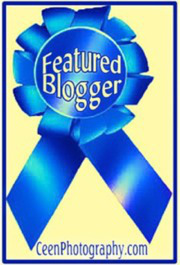 Thank you for following my blog and I look forward to following yours. Self-expression is key to discovery. Continue to be amazed by your discoveries as you amaze by your words, photographs and other forms of expression, Renegade. Thank you. Knowledge becomes power when we apply it or put it to use. That’s probably the best description for a personal blog! That describes my blogging habit nicely too.